For engineers today, time is precious. The technologies used to design products are incredibly powerful, but generate complex digital artifacts that must be managed. For engineers today, time is precious. The technologies used to design products are powerful, but generate complex CAD files and other digital artifacts that must be managed. Today’s engineers are simply overworked. They have a range of responsibilities that lead them out to the shop floor, into conference rooms, and, of course, back to their desks. Furthermore, engineers must find a feasible, if not the best possible, product design in a short amount of time. They often have a critical design review looming, as development schedules have become even more compressed. While technologies used to design products are incredibly powerful, managing the CAD files and other digital artifacts they produce can be time consuming. 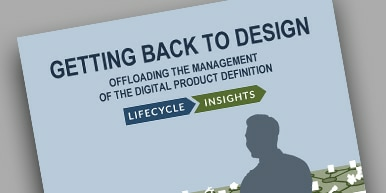 Many engineers believe that manually managing all these digital artifacts is just part of the job. Well, it’s not. This eBook covers how to reclaim that time and get back to design.